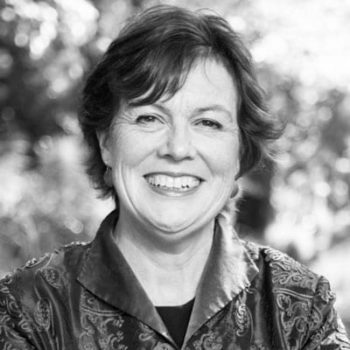 Bronwyn Hayward is an Associate Professor of Political Science and Head of Department of Political Science and International Relations at the University of Canterbury, Christchurch NZ. As co-investigator with CUSP she is carrying out research for the CYCLES project. Bronwyn Hayward is an Associate Professor of Political Science and Head of Department of Political Science and International relations at the University of Canterbury, Christchurch NZ. Trained in political science and geography she is a co investigator in CUSP where her particular role is in leading the development of CYCLES for sustainability, (Children & Youth lifestyles Evaluation Study). Bronwyn is a co-researcher at the University of Oslo on the Voices of the Future project, a study of young people growing up in a changing climate. In her research on youth and democracy in environmental change, she has been Senior Visiting Fellow with Sustainable Lives Research Group (University of Surrey) and for three years was a visiting fellow at the Tyndall Centre for climate change research 2008-2011 at East Anglia. Bronwyn ‘s most recent book is Children, Citizenship and Environment published by Routlege (2012) and in 2008 she edited Politics of Climate Change: Issues for New Zealand and Small states. (Sage and Dunmore Press. She is a member of the 11 person International Social Sciences Council steering committee which awards large global grants for Transformative research for sustainability and is a trustee of the London based thinktank Foundation for Democracy and Sustainable Development. In 2014 she was awarded UC Research Prize for Conscience and Critic, College of Arts a 5 year prize.